Nvidia has been selected by Toyota as its technology partner working on self driving cars. Engineering teams from the two companies are already developing sophisticated software on Nvidia's high-performance AI platform, Drive PX, but the formal announcement of collaboration was only made last night. "Toyota has worked on autonomous driving technologies for over 20 years with the aim of reducing traffic fatalities to zero as an ultimate goal, achieving smoother traffic, and providing mobility for all," said Ken Koibuchi, executive general manager at Toyota. "Through this collaboration, we intend to accelerate the development of autonomous driving systems that are even more safe and capable." 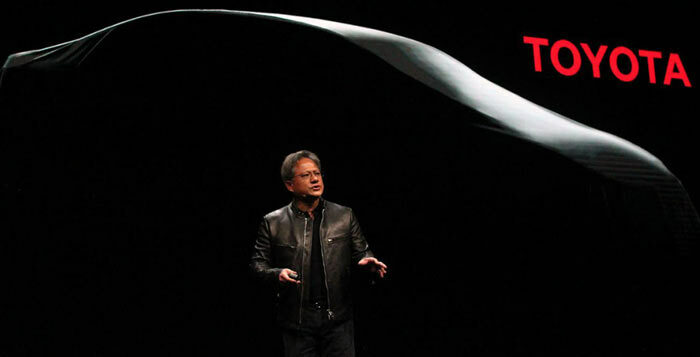 The Nvidia CEO, Jensen Huang, echoed these sentiments regarding safe and efficient personal transport. Huang asserted that the newly announced deal with Toyota was a significant indication that an autonomous future will become reality. Nvidia says that your in-car Drive PX supercomputer will be equipped with its next-generation Xavier processor. This hand-sized device will be capable of delivering 30 trillion deep learning operations per second. Much of the processing power will be used to make sense of the endless stream of information picked up by 360-degree coverage car sensors such as multiple cameras, lidar, radar and others. The system can receive OTA updates and learn to become smarter over time. 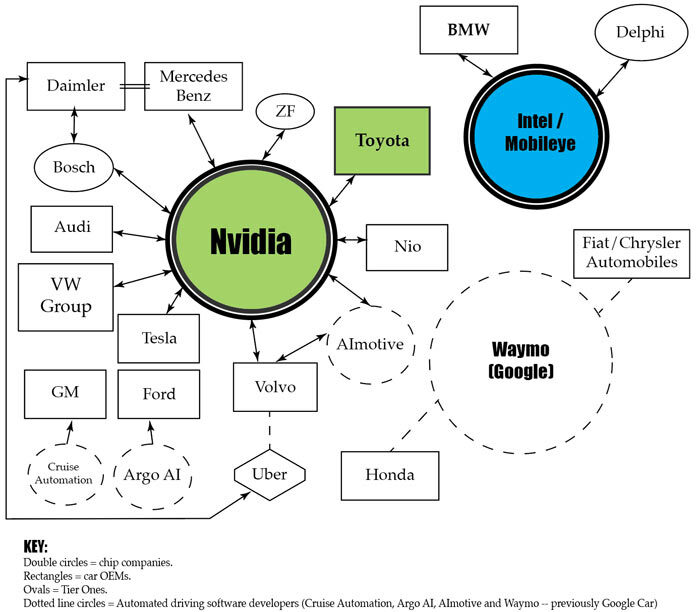 It looks like Nvidia is convincingly dominating the technology-automotive partnerships leaderboard. Toyota is the world's largest auto maker according to the most recent figures, so is a hugely significant prize. The EETimes spoke to analysts looking at the automated driving industry as a whole and though some warned that the industry was too young to predict with certainty, it looks like Intel-Mobileye and Google are very much in the sidelines. Intel's Katy Winter, VP and general manager of its Automated Driving Group issued a statement in response to Nvidia's news. Winter said that "Intel is the only company that offers a complete suite of solutions that OEMs and tier-one suppliers need to address this enormous data challenge". She went on to hint that Intel has some other as-yet unannounced partners working on Intel AI powered autonomous cars. the work load on the cpu/gpu for this type of job is vast. human brains are hard to match really… and nvidia can make high value for money high power units.